Greater competition would be a good thing for those who purchase two-way radio systems and equipment. That said, a strategy that the former Plant CML embraced a while ago likely will have as much or greater impact than a stronger alignment with Cassidian. The ability to mix and match subscriber units from multiple vendors will allow end-users to finally break free from the shackles of proprietary systems and allow them to shop around for better pricing. That by itself is reason enough to consider migrating to a P25 system, in the eyes of many. 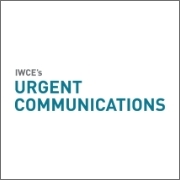 IWCE is the place where our industry’s brightest and most-experienced minds convene each year to discuss the most pressing issues of the day, to contemplate future directions and to learn how to engineer and deploy effective voice and data communications systems. On Oct. 20, 2010, in Charleston, S.C., another core Project 25 Phase 2 definition document was approved for publication. This is a significant milestone because manufacturers now have the necessary information required to develop P25 Phase 2 time division multiple access (TDMA) products. I will be moderating a panel discussion at 2 p.m. EST/11 a.m. PST, sponsored by PlantCML, that will examine the P25 standard: what it is, where it is, where it still needs to go and — most important — what it means to public-safety communications users right now. History has established P25 as a fully vetted, adopted and vibrant standard that continues to expand and grow with new technological enhancements and innovation created specifically with public-safety users’ needs in mind.